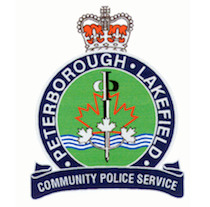 On the 2nd of November at approximately 10:00 pm officers attended in the area of Chamberlain Street after receiving a report of a suspicious vehicle parked off the road by the CPR train tracks. They located two men loading metal railway parts into a pick up truck. The property consisted of 162 metal mounting brackets, two pieces of metal rails, six metal rail joiners and other assorted metal parts. Derek Keith Reid age 32 of Park Street South and Michael Ryan Burns age 31 of Lafayette Avenue were arrested and charged with theft under $5,000.00 and possession of property obtained by crime under $5,000.00. Both men were released from custody. Reid will attend court on the 1st of December and Burns on the 24th of November.